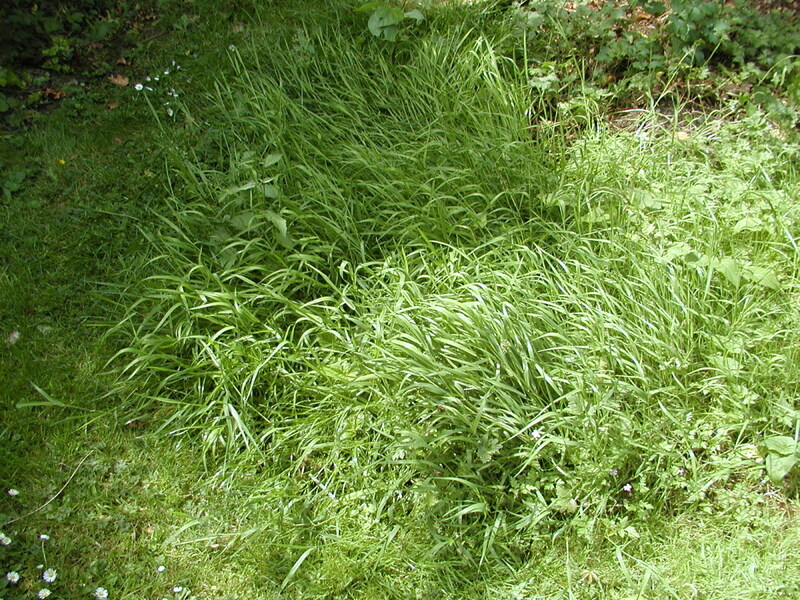 Weeds are unsightly and spoil neatly tended flower beds and borders, yards and driveways. Fortunately there are lots of ways to deal with them, either with chemicals or in a natural, environmentally friendly way, by mechanical means or with household chemical chemicals. If you have any questions, just leave a comment at the end of this "how to" guide. Also if you find this article useful, please share it on Facebook or other social media using the easy share buttons. 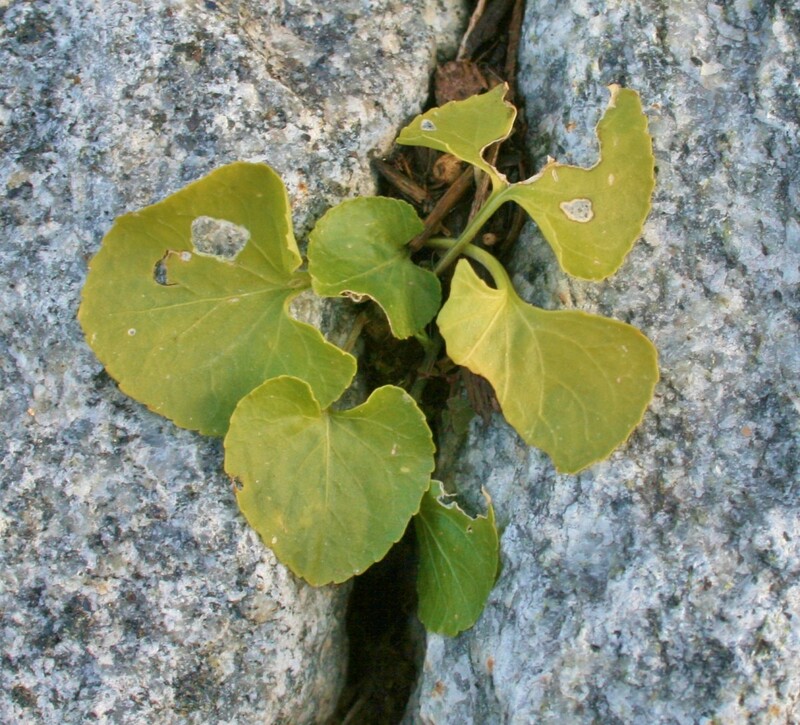 "A weed is an undesired plant, growing in the wrong place". Yep, that's basically it! There aren't special plants called "weeds" that evolved just to spoil our gardens! Weed isn't a botanical term like annual or perennial or evergreen that describes a particular type of plant. 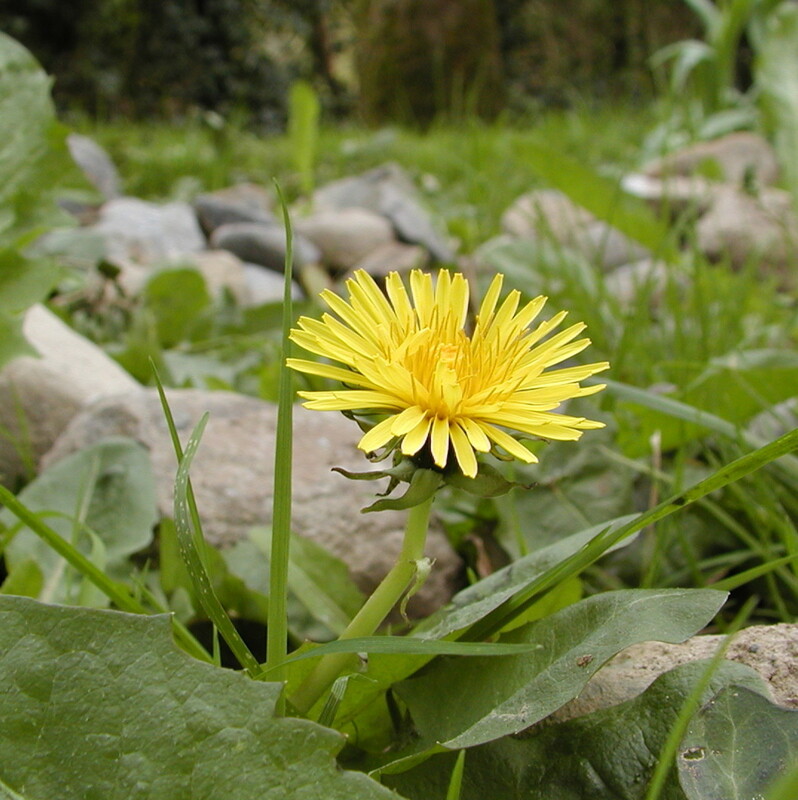 The concept of a weed is subjective and generally it applies to wild flowers, often with ugly foliage or insignificant flowers that spread happily through our flower beds and on our driveways. They could also be cultivated flowers that we have sown and which have now self seeded in abundance or propagated by other means and spread everywhere we don't want them to. 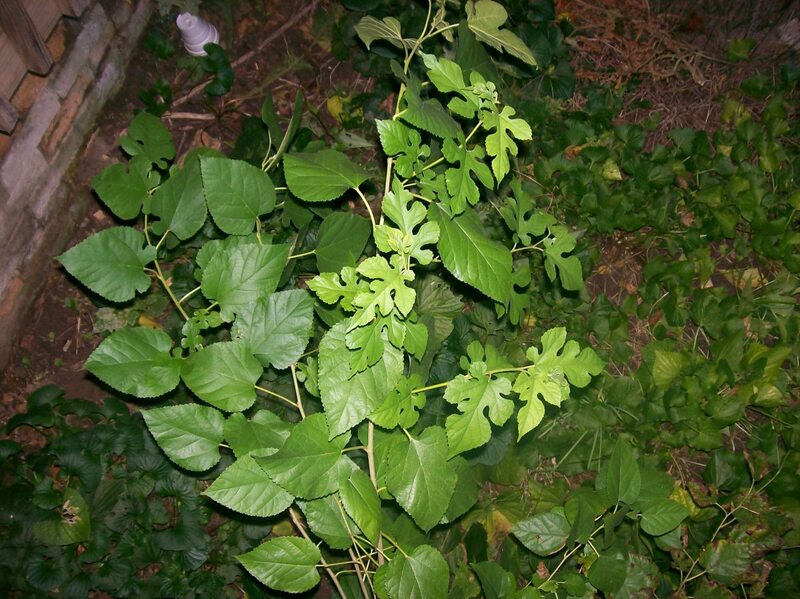 "A weed is an undesired plant, growing in the wrong place"
How Do I Kill Weeds in my Garden? A hoe is excellent for slicing through the stems of weeds. 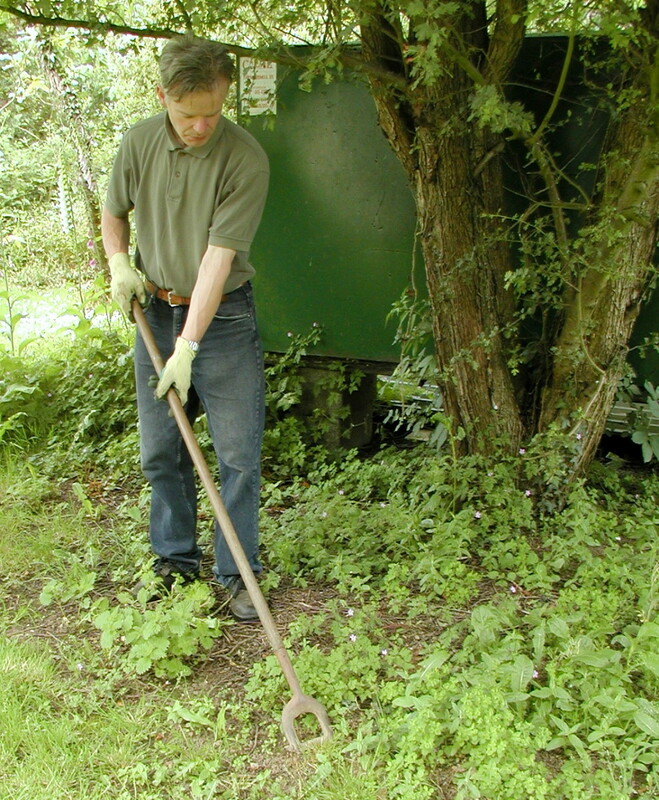 However, if weed growth is extensive on a gravel driveway or in flower beds, the hoed vegetation can be unsightly and may need to be raked up. It's best to hoe in very dry weather so that vegetation dries up rapidly. If you hoe in wet weather and leave weeds lying on the surface of soil, they may take root again if the plants and roots are intact. Mulch is material applied to the surface of soil which helps to suppress weeds and retain moisture. 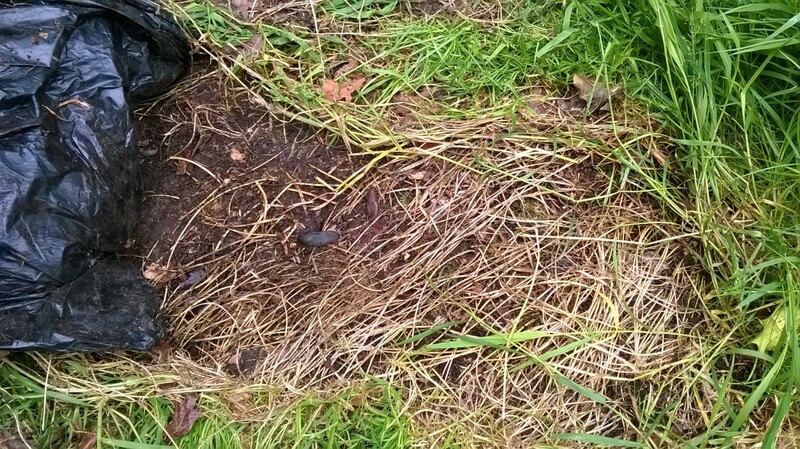 This could be grass clippings from the lawn, bark mulch etc. 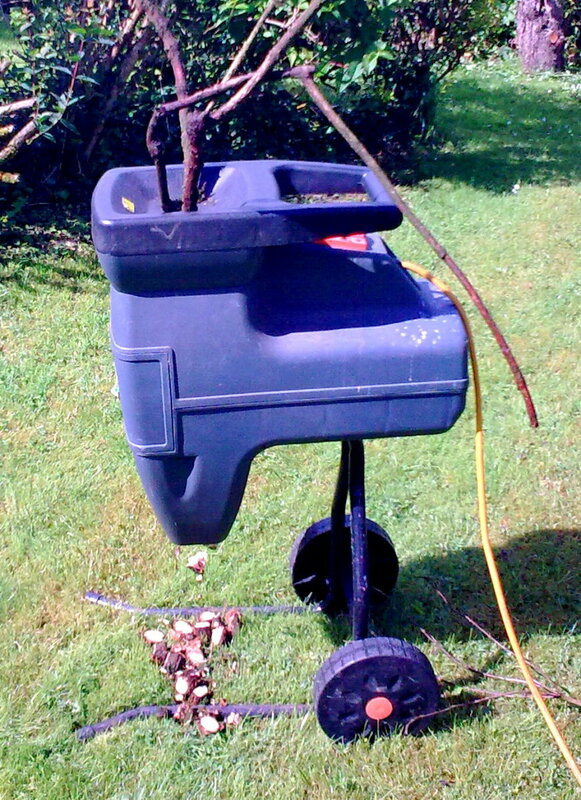 You can buy bark mulch or make your own chippings from branches using an electric chipper. (See link http://eugbug.hubpages.com/video/Recycle-Garden-Waste-With-a-Shredder ) These normally cost less than $200. 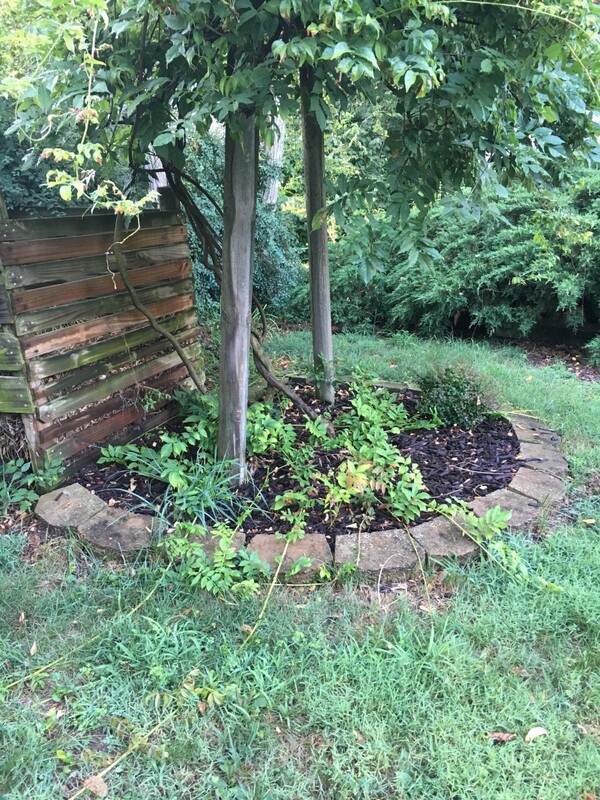 Mulch can be used around the trunks of trees to prevent grass growth and the need for string trimming. It can also be applied to flower beds to suppress weed growth. 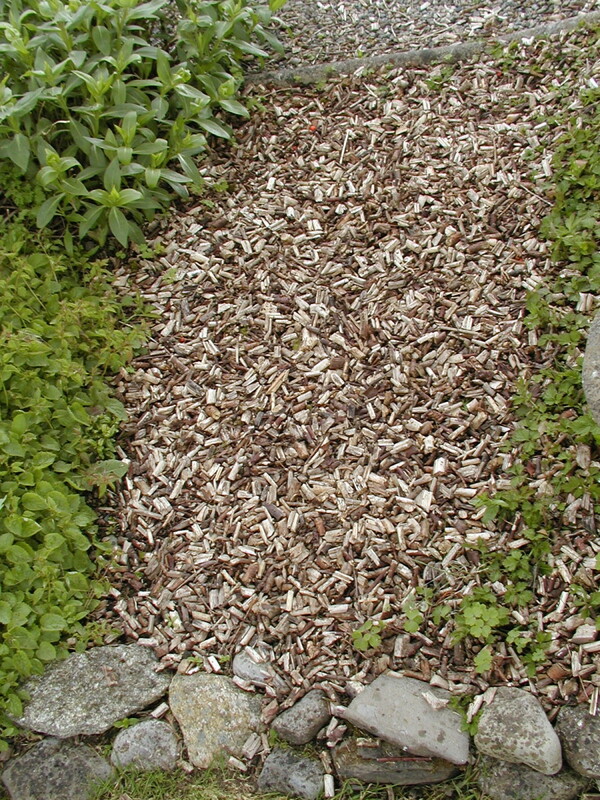 Bark mulch or chippings can be used to create natural pathways in the garden also. Bleach, vinegar and salt will all burn the top growth of weeds and stunt their growth. This is quite effective at killing young seedlings. Established weeds with lots of top growth will grow back, but if they are continually deprived of their leaves, any energy stored in the root will eventually run out and without leaves to produce more energy, they will die. However you need to be persistent. You can experiment with concentrations but initially try mixing vinegar with equal quantities of water. Mix 1 part bleach with 10 parts water. If using salt, mix 1 part salt with 10 parts water and add about 2 tablespoon of washing up liquid per gallon to make the solution stick to the leaves. Make sure you spray in dry weather and if using bleach, protect your eyes with goggles. These daisies and dandelions were treated with vinegar. We'll see how effective it is at weed killing in the coming days! 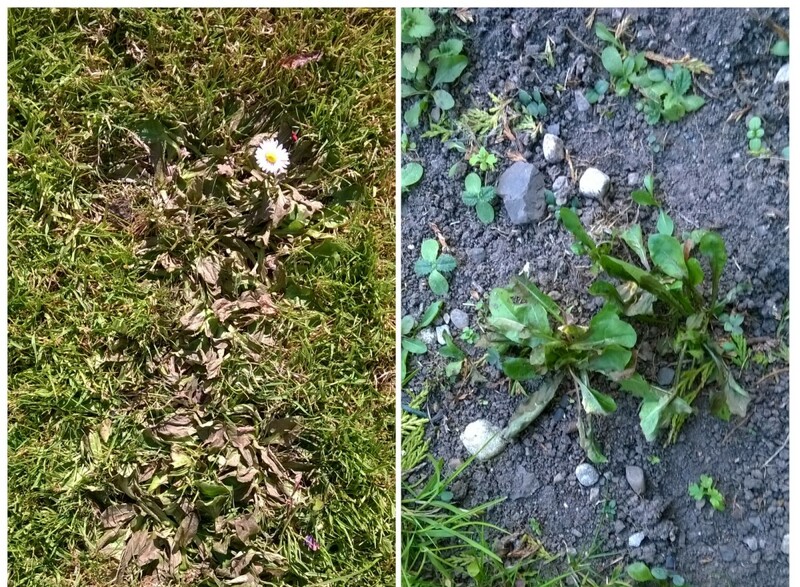 After 5 days, the daisies are beginning to re-sprout and will need re-treatment. The dandelions will also need to be re-sprayed. 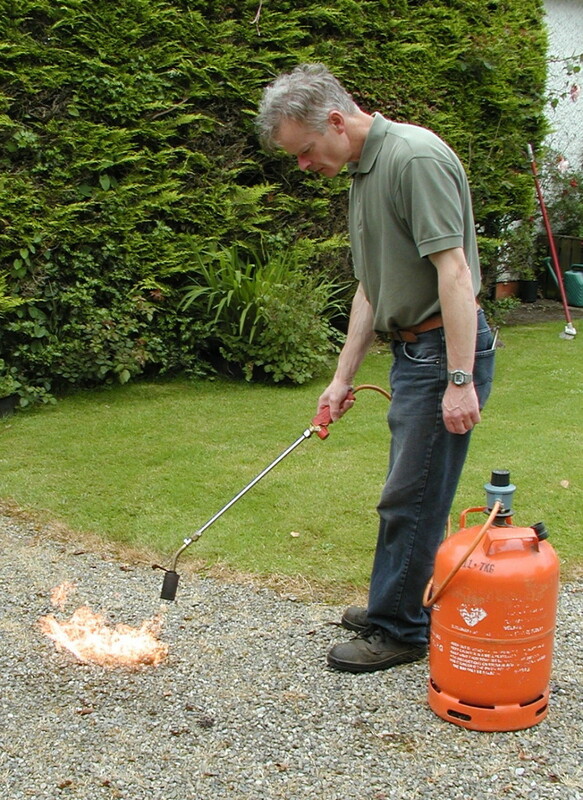 A propane / butane blowtorch such as the ones used for torching bituminous felt onto roofs is ideal for burning the top growth of weeds. 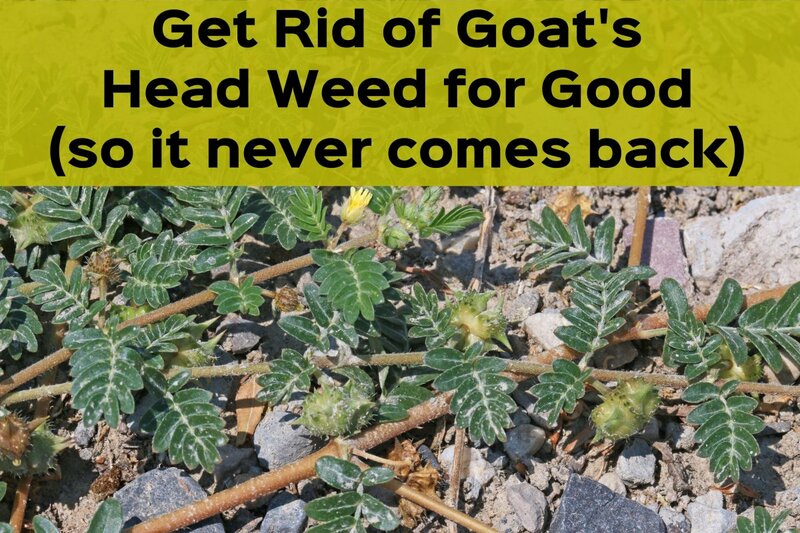 You don't actually have to incinerate the weeds, just scorch them and they will die after a couple of days. As is the case with using bleach or salt, the results are variable and weeds may grow back. Deep rooted rooted perennial weeds such as dandelions will definitely re-grow. Burning is effective against young seedlings. Be careful in dry weather to avoid dry grass and conifers. You don't want to be responsible for starting a bush fire! 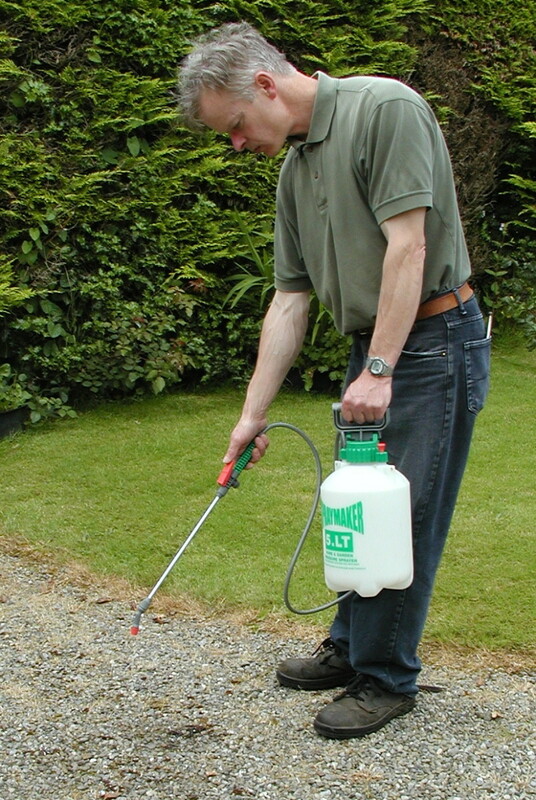 Glyphosate is a broad spectrum herbicide which is very effective against annual and perennial weed and grasses. Systemic means that the weed killer is absorbed through the leaves and over a period of 1 to two weeks works its way down down through the plant into the roots. Glyphosate is well known under the Monsanto brand name "Roundup". However since the patent expired in 2000, it is available from other manufacturers at lower cost. The herbicide is of low toxicity ( at least that is what current evidence suggests). It is supplied in varying strength formulations and the 360 g/l product is diluted at a rate of 2.5 % concentrate by volume with water. This is equivalent to 25 ml per liter (litre) or 3.2 U.S. fluid ounces per U.S. gallon. Consult the instructions supplied with your product for recommended dilution rates. A knapsack sprayer can be used or a smaller 1 gallon or 5 liter sprayer. 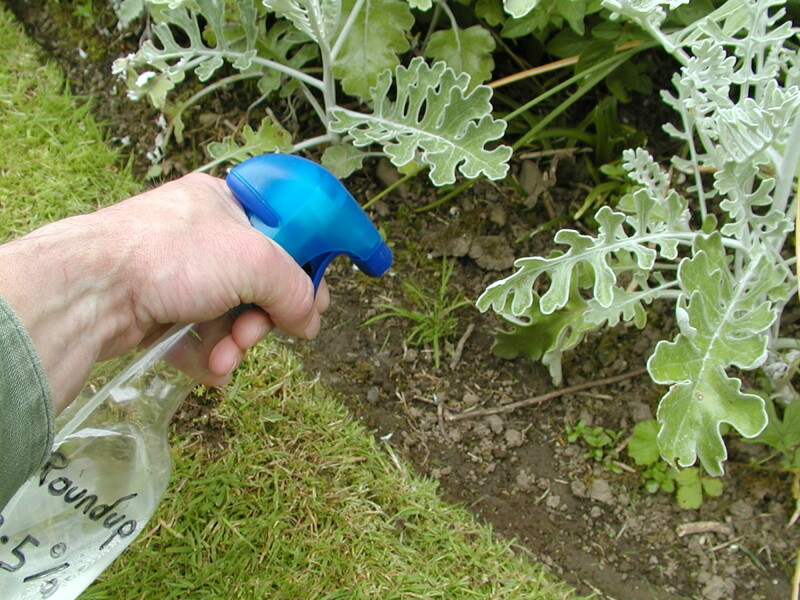 You can also use spray bottles such as the ones window or shower cleaner comes in, for spot treating weeds. 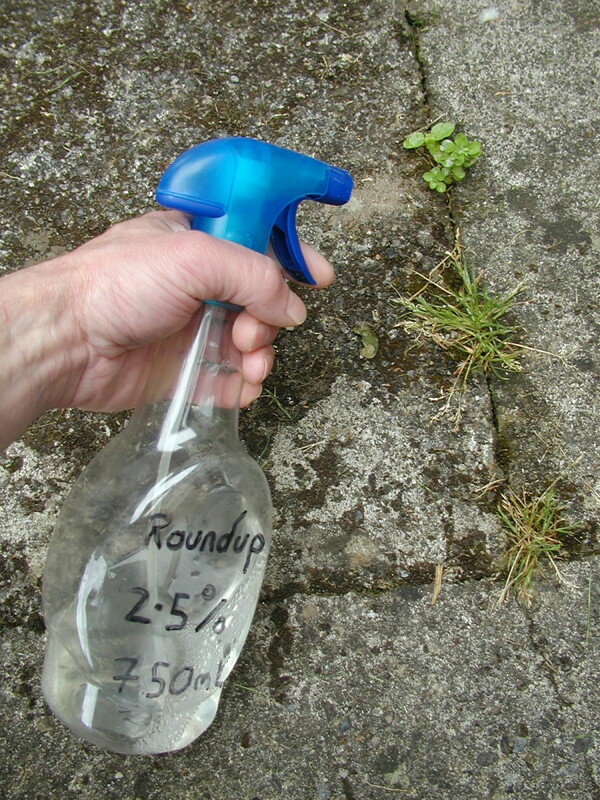 Make sure they are washed out first and write on the bottle what it contains, so that weedkiller doesn't end up on your windows or in your shower! You can buy ready made instant spray bottles which saves you having to mix concentrate with water, but these are really uneconomical as you are just paying for water. What is the Best Time of the Year and Suitable Weather Conditions to Use Weed Killer? Don't spray on windy days to avoid drift onto lawns or flowers and resulting "collateral" damage! Keep the spray head close to the ground when spraying edges of lawns and around flower beds or shrubs. This makes the spray circle smaller so that there is less chance of getting weed killer on your prized plants. 6 hours is required for spray to dry, and ideally 24 hours for absorption to occur before rain. Anecdotally it's supposed to be a good idea to add a few squirts of washing up liquid to the mix which helps it to stick better if there's light rain. It's best to spray weeds when they have lots of top growth and actively growing to maximize the amount of herbicide absorbed. Don't spray in very dry weather or when there is a drought as plants will have reduced their metabolism and weed killer won't spread through the plant. Spray weeds before they get a change to develop flowers and re-scatter seed. Weed killer won't kill un-germinated weed seeds on the ground and you will end up having to re-treat once they germinate. 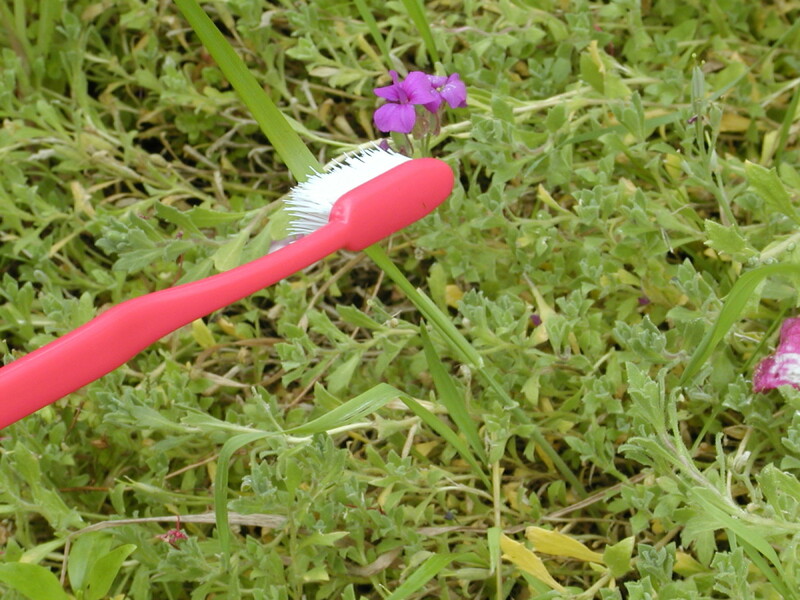 Sheets of plastic can be used to suppress weeds. You can use black plastic refuse sacks, buy a roll of plastic or even use old carpet, blankets, newspapers or cardboard. This works by blocking out the light and if plastic is used, it dries out the ground. Black plastic may not be completely opaque (especially bin bags which are quite thin) so check this out first. Killing weeds this way is a slow process and not recommended for impatient gardeners! 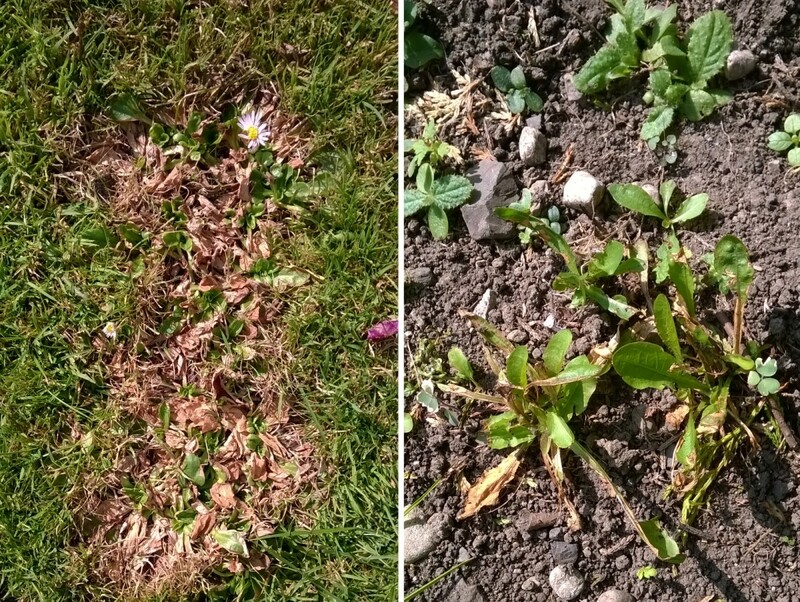 It can take weeks to several months for weeds to die, especially in the case of creeping weeds when the roots may be located outside the plastic. How do I get rid of invasive horsetail? Horsetail is deep-rooted perennial weed that will spread to cover an area if it's not dealt with. You can try and fork out roots and shoots growing near the surface, but the weed can re-sprout from small pieces left behind. Glyphosate (Roundup or other brands) can be used as a chemical herbicide, and is best applied in late summer. It's a good idea to damage the shoots by bruising with a rake to help absorption. 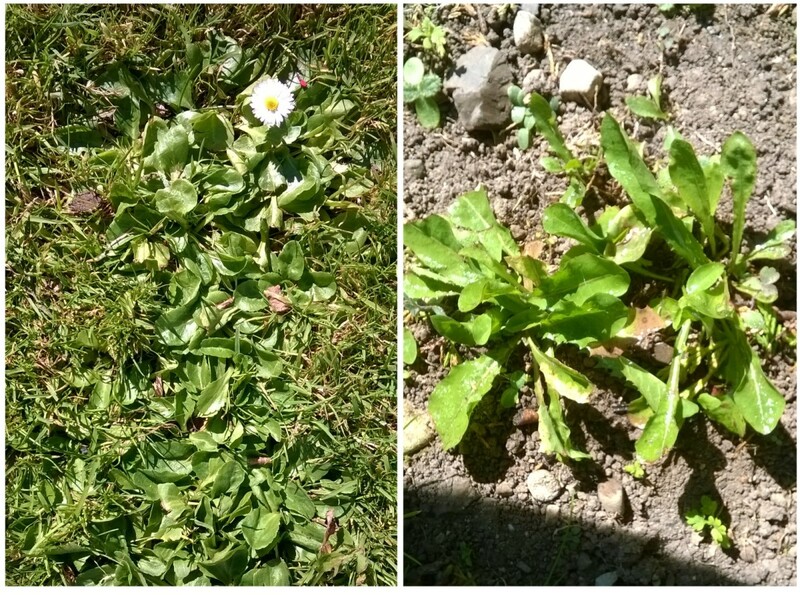 Can I use just salt and water to get rid of weeds? And if so, how should it be mixed, and when should I apply it? Yes. You can mix salt and water; three parts water to 1 part salt. You can also add vinegar for a better effect. The best time to apply is when there's no imminent rain to wash it off, and the weather is very dry as weeds will be already under stress due to lack of water. Salty water is effective against young seedlings, but it'll need to be repeatedly applied to more mature plants with more developed root systems. It's not effective against deep-rooted perennials such as dandelions. Salt can damage your soil, killing microorganisms and worms and binding to minerals in the soil, so you need to take this into account if you're going to be growing flowers and vegetables in the future. On paths and driveways, this is unlikely to be a concern. Wow, it took a year to test your garbage bag method! My lawn is too large to consider only one technique. So I appreciate any suggestions for other methods to add besides mass string trimmer cuttingback. My potable water is from a well, but most importantly I live on an island where I'm close to marine and forest wildlife, so I don't even consider using chemicals for weed control. I have to be on top of the weeds constantly. 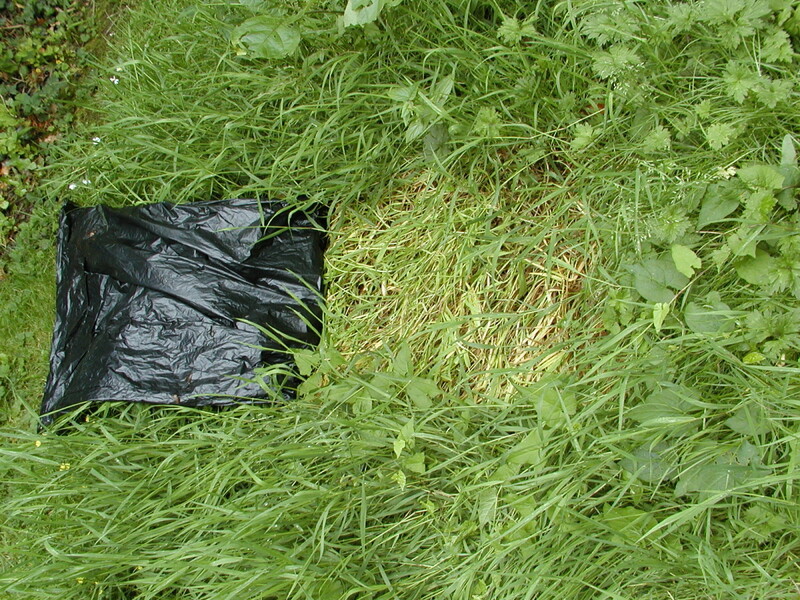 The black plastic is useful in large swaths, it creates the heat to prevent re-emerging growth. Cardboard on the beds to keep weeds out can be tilled in with compost before spring planting. I have a large compost system for all the freshly "harvested" grass cuttings, nettles and dandelions that I and my neighbor's goats can't eat ... It really heats up the material inside. I have my handy metal tent stake and hori-hori for gentle weed pulling, a hoe and a mattock for the bigger jobs. I really love the Japanese garden tools for this. 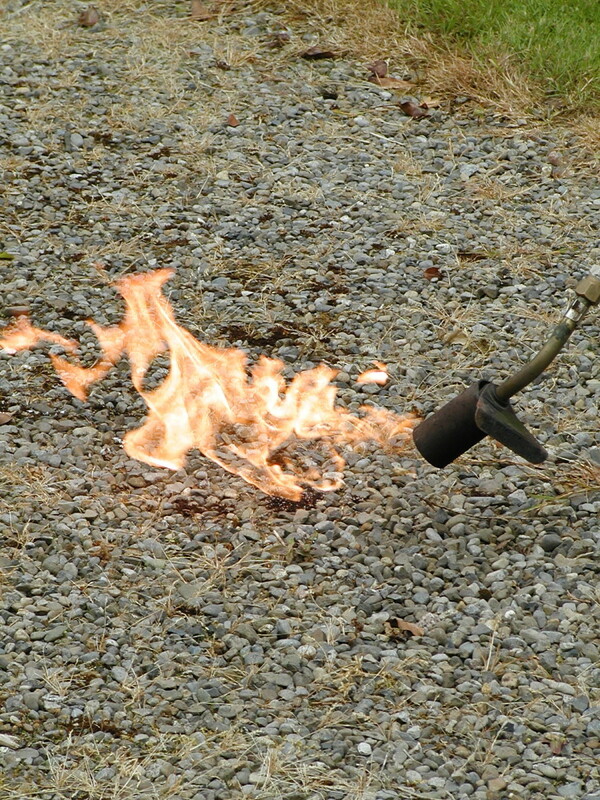 I'm about to employ the propane torch on a dolly to tackle the weeds in my long gravel driveway before I add a new layer of rock. Careful using salt as this will sterilize the soil and nothing will grow for years! Thanks Peggy! I try to hoe if possible between flowers and shrubs in the herbaceous border, ideally on a dry day. If plants are packed together, it keeps weeds at bay, however couch grass still makes it to the top and can be difficult to remove, especially if it has sprouted through ground cover plants from multiple spreading underground roots. We are big believers in using mulch and top dress our beds each year with some fresh mulch. 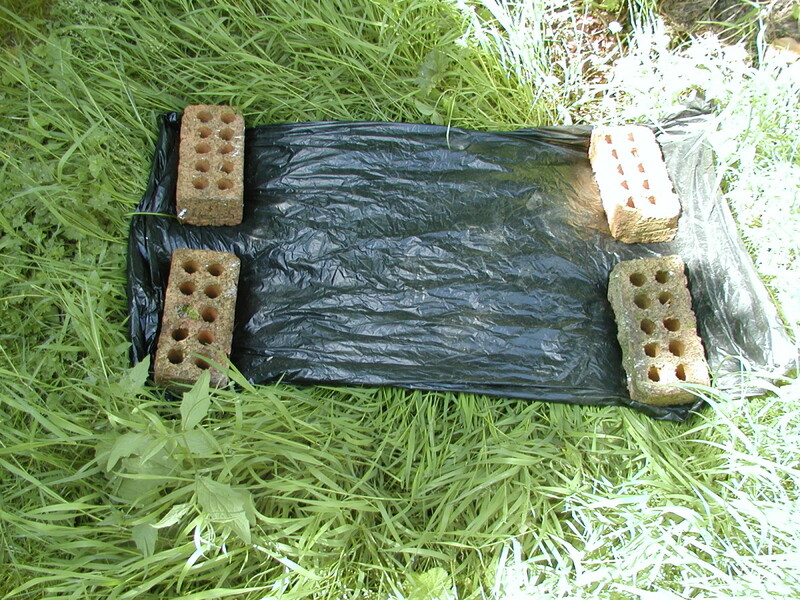 Some of the nurseries sell a weed barrier which is also effective. The mulch goes on top and it really helps keep weeds from growing. Rainwater still goes through the tight mesh like material. The few weeds that still survive we just dig out by hand. The butter curler is a great idea because I reckon you can use it to scoop in under roots. 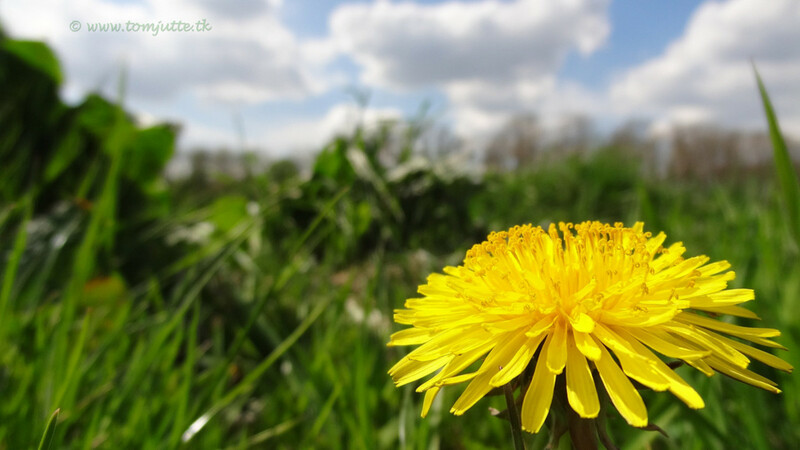 In lawns, a sharpened dinner knife is good for dealing with dandelions and thistles. These have tap roots and the long blade of the knife can be used to cut the root under the grass so the weed can be pulled out. Good advice here and I already use all of your techniques. I will add some of my own. With many years in foodservice I have a lot of kitchen tools around. This only works for small spots where you want to get rid of a single weed but I use a butter curler. (Someone not in the business may need to Google it) They is small enough to slip into a pocket and pull out to reach in very tight spaces where nothing else works. I also use a chef's cimeter in place of a machete. The chef's cimeter looks like a scaled down machete but it will have enough weight and sharpness to slice through tough plants. I like to just hand pick them. If I do it carefully, I get the roots and it won't come back. No chemicals and the weed gets tossed into the compost or into the woods to biodegrade. I discovered that the black bag wasn't completely opaque, so some light passed through. Also the stems and foliage of some the grass extended beyond the covering and didn't die. See new photo. so how did the weeds turn out? all dried up? That bag is still in place after about 5 months! I'll have a look today to check out the results. Thanks I'll look for that. Add some salt to the boiling water to make it more effective. Salty water also works well on moss. Thanks for reading! As with the household cleaners, you'll likely have to burn them several times before they eventually give up, especially in wet weather. I'm going upload a photo today of a patch of grass at the edge of a lawn, full of daisies. I'll treat it with vinegar and see how effective it is at burning everything away over the coming weeks. My immediate though would be to go with the household cleaners, but now it's so tempting to use a blow torch and burn 'em. You're welcome! Vinegar seems to be quite good. If you can get it with higher than 5% acetic acid content, it should be even more effective. I would have never thought of a Blow Torch! Taking the vinegar into consideration. Thanks for the tips. We used boiled water and horticultural vinegar to get rid of our weeds. To echo with some of the other commenters, I also have boycotted Round-Up (Monsanto). BTW, I wish I had a blow torch! Great article. Voted up! I agree with you DzyMsLizzy. Organically grown foods are the waive of the future and, in my humble opinion, the only way to go. I commend you on your activism. Thanks Thelma! Try salt also, it's probably the cheapest option. If you can boil the water, all the better. You would need to use a metal watering can because boiling water would probably damage the plastic components in a sprayer. Thank you Victoria! You can try varying concentrations of vinegar to see the effects. Ideally it should be applied neat. I'm sure large catering containers of vinegar can be bought which would work out more economical. Thanks for the comments Lisa! You could use the chipped wood as mulch in flower beds if it isn't too lumpy, or spread it on an area or walkway to suppress weeds. If anyone has a wood pellet boiler, possibly this stuff could be added to the mix and burned. It would need to be dried thoroughly first. I have burned chipped wood on a stove but it wasn't fully dry and produced lots of smoke. Congratulations on HOTD! I think I have to try the vinegar water mixture weed killer first before trying the others. Thanks for sharing this very useful and informative hub. A well deserved hub of the day. I'm so bad about letting the weeds get out of control! I've heard of the vinegar trick. I have so much trimming in my yard that maybe I should invest in a chipper. I could use it all over the place as mulch! Great hub. Many votes! Pinning to gardening hub. Congrats on Hub of the Day. Much deserved! Congratulations on HOTD. Great article. We have a service coming to take out a few trees and trim some others back. They have the big kind of chipper. Is there anything I could do with the chipped wood? I'm sure they would give us some if we asked. Also liked the idea of the blow torch on the gravel. we have a big problem with weeds growing in ours. I take your point and if I had the time I would probably use the hoe everywhere! (BTW I don't use Monsanto's version of glyphosate which is Roundup. It's too expensive. I use their competitor's clone version). I haven't sampled dandelions. I tried using nettles in my home made soup but found them rather bland. 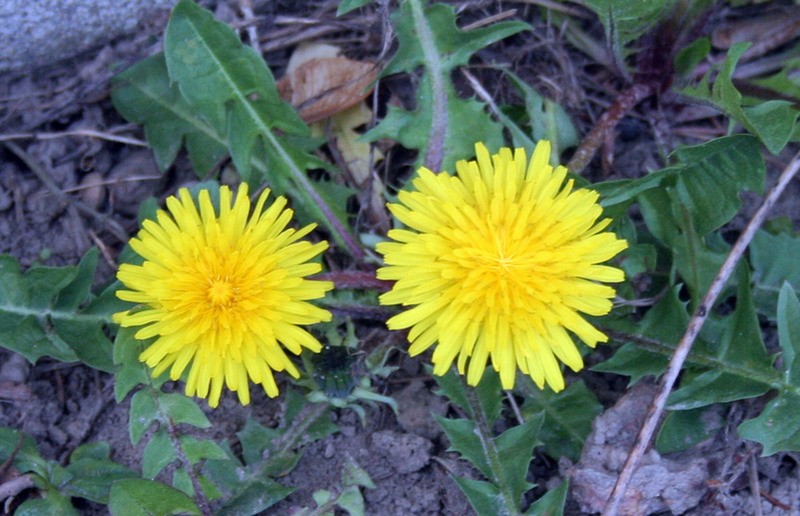 Did you know--Dandelions are actually edible? So are many plants classified as 'weeds.' Also, in organic farming, many 'weeds' grow next to the desirable plants, mimic their appearance, and attract the bugs that would otherwise damage the food crops. However, if you do wish to remove weeds, I must say, I agree with all your methods but the last. Toxic chemicals such as "Roundup" and their other-branded counterparts are very, very bad things to be putting into the environment. They are finding that these toxins are responsible for killing off bees and butterflies, and that affects US, because both play a huge role in the pollination of the FOOD WE EAT! Without bees and butterflies, we would be in serious danger of losing a good portion of our food crops. Besides that, Monsanto is responsible for the majority of the "GMO" (Genetically Modified Organisms) food seeds, and also for pushing laws through congress to try to obtain a monopoly on ALL seeds, so that only their own GMO varieties become available. Further, they also shoved through a law to prevent themselves from being sued! Many countries around the world have already BANNED Monsanto seeds and products. Why haven't we? Because they have basically purchased our government! Boycott Monsanto--please don't promote them or their products. I always rake or manually pick up weeds after hoeing. You should see my compost pile (can't keep up with it). I'm planning to coif my vegetable garden over the next several days because it's starting to look like a jungle out there, and my domestic plants are barely holding their own. Also, I'm trying to figure out how to trellis the squash and watermelon, if that's even possible. Thanks for the comments Marie! You probably get lots of heavy rain in the afternoon in Florida, or is that only in the south of the state? 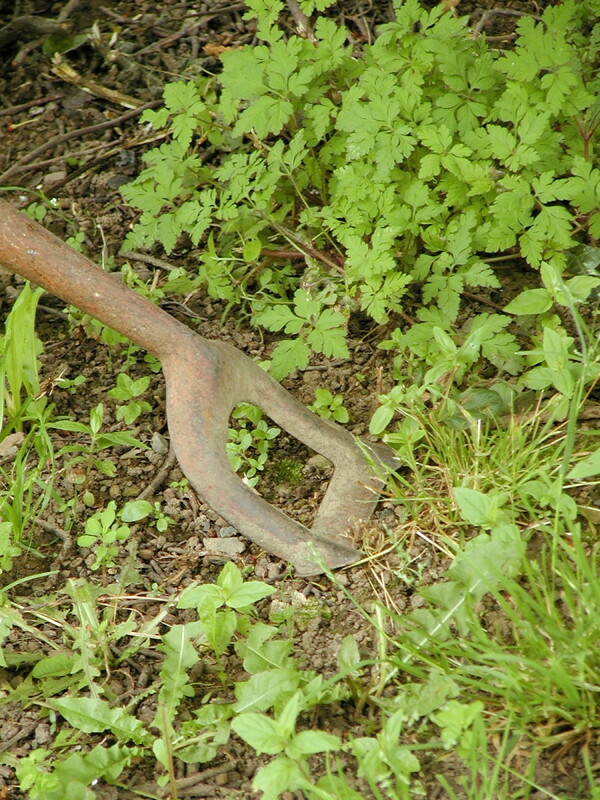 Weeds thrive in hot, humid weather and can re-root if not raked up after hoeing. I usually try to hoe during scorching hot weather, and leave the weeds on the soil surface so that they dry out. You can also use pine needles, hay and newspaper as mulch. Yes, I'm aware of the black plastic. Pine needles are pretty good if the plants being protected like acid. Plastic is not my favorite medium. It does hold back the weeds for several years before it begins to deteriorate. 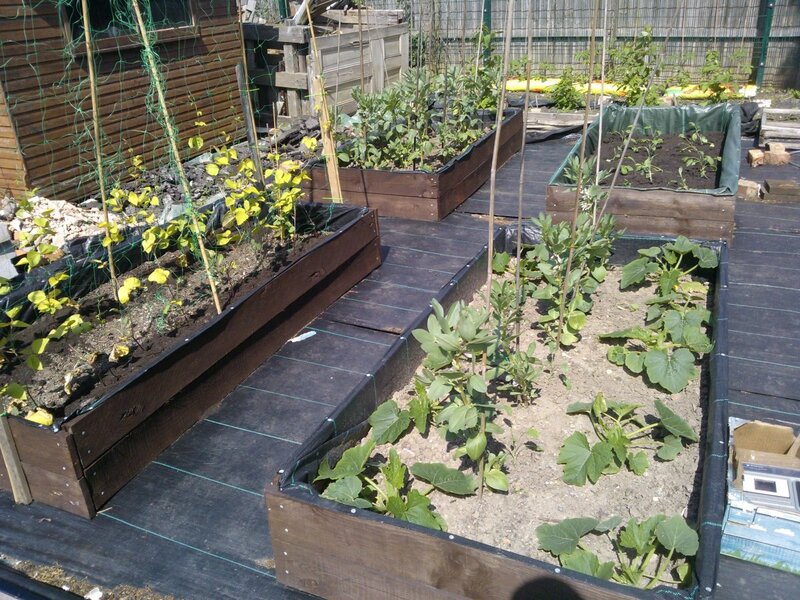 Black plastic is another way of keeping weeds at bay when growing vegetables. 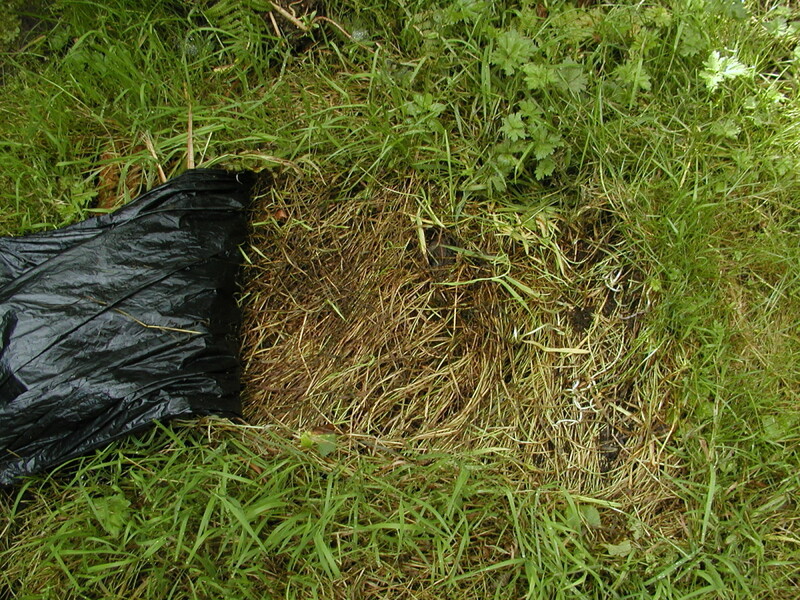 Plastic sheeting (or opened out black trash bags) is spread on the soil surface and just needs to be slit everywhere a plant or bulb is planted. I'm trying to stick with organic methods, and many of the things you have mentioned are very helpful. Unfortunately, I don't own a wood chopper nor a compost shredder, which I dearly want. I'm still new to the northern Florida climate and soil, so my garden isn't anything I would want to showcase, but I have been able to harvest a few meals already and I'm learning. When I weed, I try to loosen the soil by watering it the evening before hoeing. I hoe, use a weed stick and, if necessary, a shovel for really established unwanted plant or sapling growth. I try to get most of the root so the unwanted item doesn't come back--permanently or at least for a long time. Broken tree branches falling on the yard and vegetable garden, not to mention the leaves, are overwhelming here. Lots of material for mulch, but a full-time job if one wants a nicely landscaped yard. Voted Useful. Congratulations on HOTD! Well done. A great HOTD! I would never use a blow torch cause I'd be afraid I'd start a fire. I used to use RoundUp, but I don't use that type anymore. I worried about contaminating our well water source. My favorite way to keep weeds down is by mulching. Many thanks Chitrangada! Glad you liked it! Very interesting and informative hub! Lot of useful suggestions to follow for people interested in gardening. Salt does burn vegetation but weeds do grow back. Hoeing is quite effective, but unfortunately it can bring buried weed seeds to the surface, allowing them to germinate. Glyphosate is really the most effective solution. 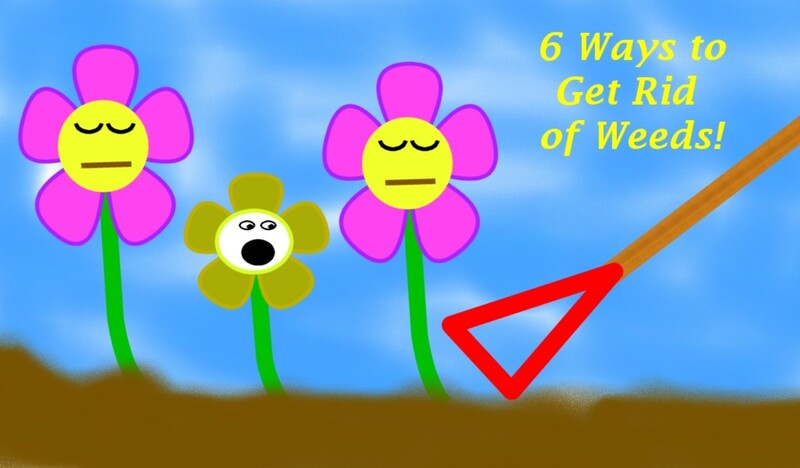 There are a couple more ways of dealing with weeds so watch this space! Great advice and information! I love to work in the garden, and I usually have a horrid time with those rotten weeds. As for the salt concern, I do remember that the Bible mentions sowing the ground with salt in order to stop it from producing vegetation, but I am not sure how much salt would be damaging. Of course, I know that the most fertile thing that a person can use in their garden is volcanic ash, and I would assume that has so many toxins and nasty chemicals too! Thanks David. I would think that the amounts of salt involved would be unlikely to cause damage in a wet/damp climate with reasonable amounts of rainfall. Salt after all is water soluble and should leach downwards out of the soil. However possibly it could bond to minerals in the soil somehow and cause problems. In an arid climate, salt could build up in the soil and be an issue. Apparently it's not a good idea to use too much salt or bleach on concrete either to kill moss as it can do some damage to the surface over time. Lots of good ideas and great photos. I really wonder about salt and bleach, though. Pillaging armies used to salt the ground to prevent survivors from growing anything in the soil. So it's important not to use so much that you'll poison the ground for plants you want. Bleach is toxic to humans, both touching and inhaling. I thought you were joking when you said blowtorch. As you point out, that, too, requires great care. That might be a good idea... I used one of those for taking wallpaper off the walls and cleaning them before painting. 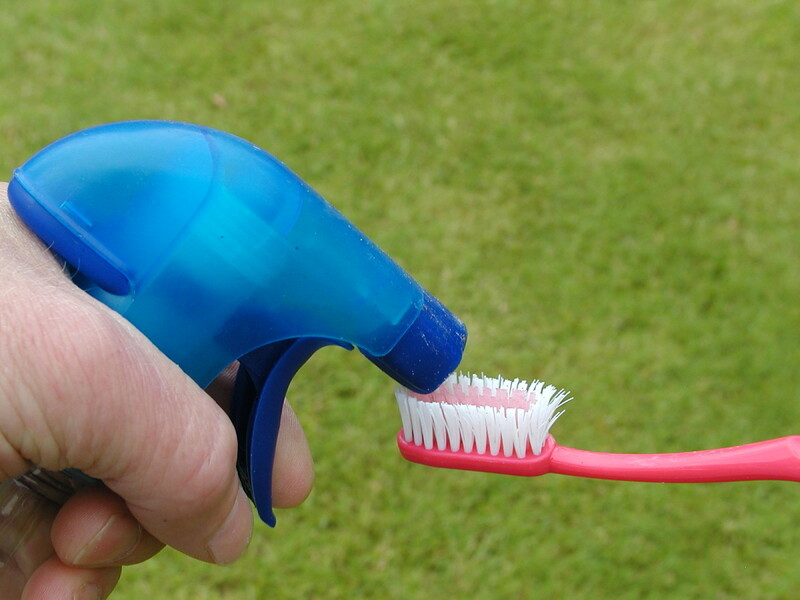 I also use it regularly for cleaning the kitchen, why not extend its use to the garden? Thanks for the useful tips. I like the idea of using vinegar to kill weeds. I'll try this! Thanks Vicki! That little wood chipper has shredded lots of trees, including nearly all the branches from a 30 foot sycamore on two occasions! Its well capable of chipping 1 1/2 inch branches although the process is quite tedious (I would like a gas or diesel powered version like the tree surgeons use which swallow up large branches whole). Really interesting Hub! I like your little woodchipper - didn't know you could get such small ones. And your info is really good - weeds grow like crazy! I used to mulch, but moved last year, and the new garden has loads of bulbs hidden underground, so I haven't had the heart to mulch yet. Still deciding. This is great advice, and so well done! I have tried using woodchips this year on my strawberry beds and it has been a great success not only against weeds (hardly had any) but also for limiting watering. I didn't know about Bleach ,vinegar and salt though, I'll try that too on other areas.